PRIDE Museum is an Official Certifying Organization that has been granted authority to administer the PVSA to volunteers. America has a long and proud tradition of volunteer service. Now, more than ever, service is necessary to tackle the most pressing issues of our time, and Americans are accepting the challenge. The President’s Volunteer Service Award recognizes, celebrates and inspires community service leaders and volunteers to lead the charge. 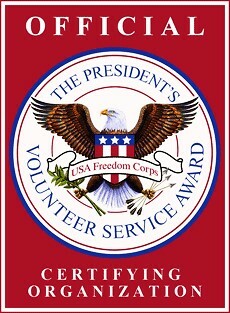 For more information about the President’s Volunteer Service Award, visit www.presidentialserviceawards.gov.